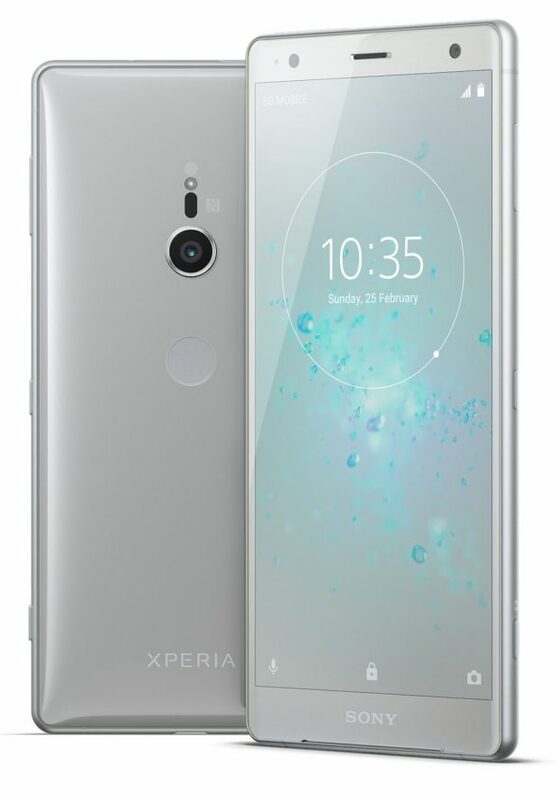 If entertainment is your priority, then you need the Xperia XZ2 and XZ2 Compact, according to Sony Mobile. The company introduced the two new smartphones this morning at the Mobile World Congress in Barcelona, each equipped with the Advanced X-Reality engine that can up-convert any standard dynamic range download or streaming videos to HDR-quality. The XZ2 offers “entertainment to the extreme” said the company’s communications executive vice president of global sales and marketing in a press release, while citing the phone’s sleek design. Both versions of the phone feature Sony’s S-Force Front Surround Sound speakers. They’ve also abandoned the headphone jack. The XZ2 includes the Sony Dynamic Vibration System, which mimics the effects of vibrating video game controllers, allowing users to feel what they see and hear. Both phones come packed with Sony’s 19MP Motion Eye camera system and a 1GB memory-stacked camera sensor, upping the camera’s slow-motion capabilities by allowing for 1080p full HD or HD. The phones’ cameras can capture video in 4K HDR as well. Available late spring 2018, the phones will ship with Android 8.0 Oreo. Pricing has not been announced. Canadians will be able to experience Bell’s new gigabit network speeds in late spring through Sony’s Xperia XZ2 models. The XZ2s, which feature the Qualcomm Snapdragon 845 mobile platform with X20 LTE, will also support theoretical upload speeds of 150 Mbps, said Blaik Kirby, president of Bell Mobility, in a press release.